Choose among the many things to do in Dominica - an island for adventure enthusiasts! Dominica is a wonderful island situated in the Caribbean Sea, loaded with Dominica activities and is the perfect destination for your vacation. There are so many fun activities here - from dolphin and whale watching to eco tours, hiking in the Morne Trois Pitons National Park, visiting the famous Boiling Lake, river tubing and so much more. Choose your top desired activities in Dominica and have a wonderful trip! Discover the wonders of the Caribbean waters is one of the best things to do in Dominica. During your dolphin and whale watching adventure, you can enjoy the contact with the wildlife in its natural habitat. 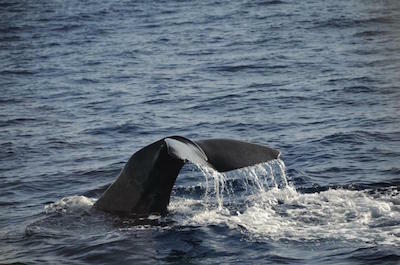 From the boat, you may see pilot whales and sperm whales, the most common species of the over 70 that live in the region. There is also a huge variety of dolphins, reaching 32 different species that live or come visit the Caribbean waters. The cruise is a well-timed to enjoy with your family and run away from the city. Don't forget to make a checklist for the water-tour: a raincoat, and some snacks. Dominica is an exciting island that has a rich historical culture that begs to be explored. 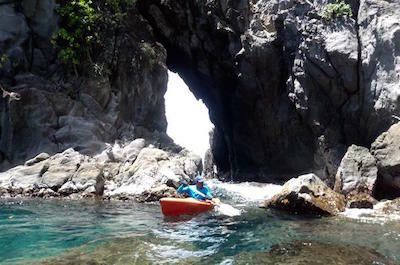 It is full of fun Dominica activities and one of the best ways to learn more about this fascinating Caribbean island is making a day tour in the Indian River, passing through the Shirley Ruins and the Purple Turtle Beach. The Indian River has over 18-foot-deep, and you can relax while observing the life of the native animals. A guide will provide you precious information. Another way to dive into the culture of the Dominican people is to learn how to cook the local food. 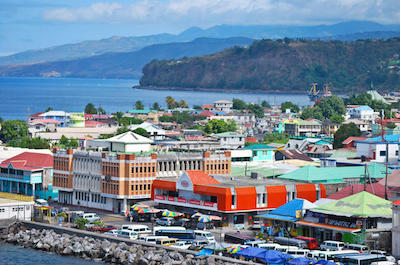 You'll enjoy pleasant hours, in Roseau, the capital of the Island of Dominica. Taste flavors and improve your cuisine skills. The cultural activities are some of the most fun things to do in Dominica that will make your trip unforgettable. There are excellent things to do in Dominica during a seven hours-long day trip. You'll have the chance to swim in natural pools and sail through the Indian River. You can choose to make a day trip to the Morne Trois Pitons National Park, a World Heritage Site by UNESCO. There, you'll see incredible surprises like the Freshwater Lake and the Emerald natural pool. The Emerald Pool is one of the most popular activities in the park. It's located under a 40-foot waterfall and invites you to a relaxing swimming. If you like adventure, a day trip with hiking will be perfect. Another great option to be in contact with the wildlife is a trip to the Indian River and the Purple Turtle Beach, covered with black sand. It's an amazing experience. How about including a Safari into your list of fun things to do in Dominica? Hop on a 4x4 jeep and enjoy a unique ride throughout the rainforests of the island. In this open-air tour, you'll discover wonderful landscapes of the Botanical Gardens and have the opportunity to see up close the symbol of the island: The Sisserou Parrot. You'll find, spread in the interior of the island, remains of volcanically active and clear relaxing waters. In the end of the trip, you'll be astonished by the Ti'tou Gorge. The result of lava formation, The Ti'tou Gorge is located in Laudat village. You'll have to swim in a crystalline water to reach the waterfall. Once you're there, enjoy this remarkable experience. This amazing three-hour ride is guided by a local. The Dominica waters are home to several species of fishes and huge mammals, like the sperm whales. If you enjoy sports fishing or want to have this experience, the fishing tours are excellent options for things to do in Dominica, one of the top destination for this kind of adventure. You can actually catch a Dorado or Jacks. You can also participate in a game against the big fish. 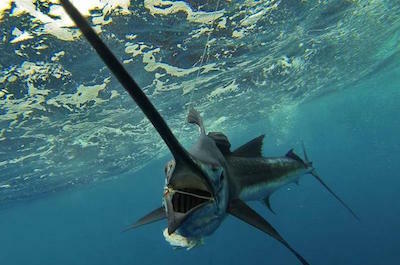 Experienced fishers try to win the speed of Marlin or Sailfish. This tour provides you with the chance of contemplating the beautiful landscape of the Caribbean Sea. Beyond that, you can also see dolphins swimming around the boat while it sails. Or opt in for a whales watching tour, an excellent opportunity to see some of the 79 species that live in the Caribbean waters. 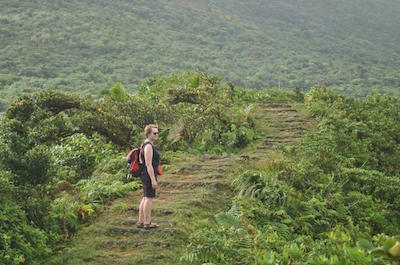 The adventure tours in Dominica are great to test your resilience and to show you the best of the Island. There are tours in Dominica of 5 or 7 hours, that give you the chance to hike and learn about the wonders of the Morne Trois Pitons National Park and the Boiling Lake, a UNESCO World Heritage Site. You can enjoy a pleasant walk through the rainforest and hear, as a music, birds singing in their habitat. 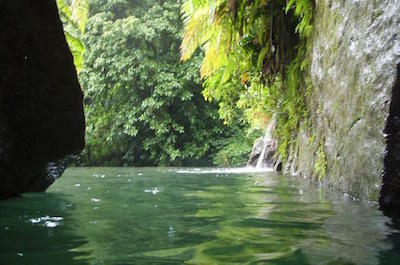 But the main attraction is the Ti'tou Gorge, a great activity that is one of the most fun things to do in Dominica. Hike until achieving the top of the 45-foot waterfall and contemplate from above the beauty of this place. After hiking, delight yourself in the refreshing water of the natural pool of the Ti'tou Gorge. There's nothing better than a combination of nature and sports. The eco sports are among the unmissable things to do in Dominica. In local guided private tours, you can practice kayaking or Paddleboarding in magnificent quiet places. The Prince Rupert Bay is perfect for paddling when you can reach the Toucari River. If you decide to snorkel in the Toucari Cave, you will discover a shipwreck, reefs, and other underwater wonders. If you want to enjoy a walking tour, you can visit the Morne Trois Pitons National Park, in a 6-hour tour. Inside the park, you'll find the Freshwater Lake and the Ti'tou Gorge. The Ti'tou Gorge is located in the village called Laudat. To access the 40-foot waterfall, you need to swim in the crystal waters of the natural pool. Dominica is rich in natural resources and leisure options, that will make your trip unforgettable. You can take a Full Day Round Island Tour- discover peculiar villages and hidden places while you walk through the island. We'd put Ti'tou Gorge on the top of the list of things to do in Dominica. There you will check the result of the volcanic activity and swim in a natural pool. But if you want an adventure, you can come aboard of a jeep and make a safari throughout the rainforest. For history, the Roseau city is perfect. And, of course, visit the wonderful Roseau City, Mero beach and the Freshwater Lake. In the Botanical Garden, you'll have an interesting encounter with the parrots. How about kayaking both river and sea at the same time? This is possible in Dominica. This adventure is among the best things to do in Dominica that can't be missed. If you don't have any experience kayaking, don't worry. Skilled professionals will give instructions and prepare you for the unforgettable activity. The way is through the Layou River following to the Caribbean Sea. On the way, you may see boats arriving from the fishing. The tour lasts three hours and at the end of the adventure, you can have a rum punch and try some dishes of the traditional Dominican cuisine. You have the unique opportunity to contemplate the beautiful landscape of the region during this amazing experience. Dominica is surrounded with volcanoes including underwater. The region also holds some of the best sites for snorkelling in the Caribbean: Scotts Head Pinnacle, Soufriere Bay and of course, the Champagne Reef. The reason for the name is because of the constant Champagne bubbles coming from the bottom of the sea. You can also see this incredible phenomenon while diving with scuba, and enjoy delicious warm waters. Another great place for snorkelling in Dominica that rates among the top things to do in Dominica is the Toucari Bay (Private Eco Tour). There, the snorkelling experience is private and among the caves, where you may see a shipwreck. This is one of the best Dominica activities on the island. 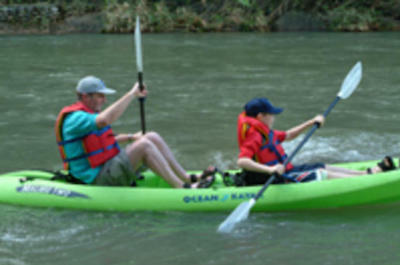 Gather your family and friends for an exciting adventure down the river. The tubing is one of the most fun things to do in Dominica. A perfect way to enjoy your trip while having fun in contact with nature. This safari is an amazing opportunity to see the island from another point. 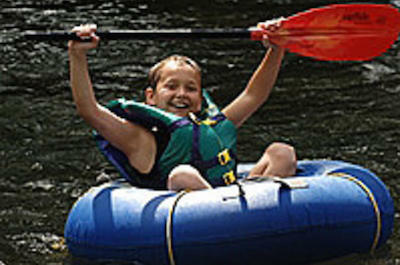 Before you start the tubing, you'll be instructed with important safety information. An experienced guide will follow you through the whole way and provide a live jacket and a tube, that you'll use during the journey. 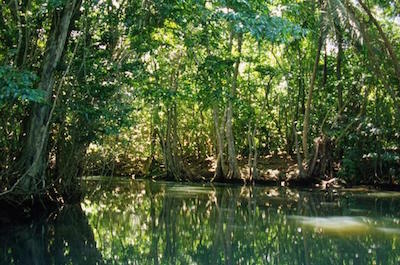 Swirl down the crystal waters and just stop once to rest and have a river bath, that is part of an old tradition of Dominica. Then, start the adventure again. When this three-hour safari tour is over, you can have delicious rum punch and fruits.